A cataract is a clouding of the eye's naturally clear lens. This clouding prevents clear focusing of light rays on the retina. Cataracts may develop from injuries, certain diseases such as diabetes, medications and exposure to sunlight. However, most people will develop cataracts as a result of normal aging. The only treatment for cataracts is surgery. Sometimes changing your eyeglass prescription may help temporarily, but when the cataract becomes so dense as to limit your normal activities, surgery should be considered. The cataract is removed through a very small (2.7mm) incision and an artificial intraocular lens implant is placed into the eye to focus the light in the same way your natural lens did when it was clear. Recovery from the surgery is usually very rapid. There are many types of glaucoma, but the most common type, Primary Open Angle Glaucoma, is a disease where increased pressure in the eye causes damage to the optic nerve. 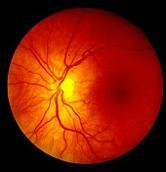 The optic nerve transmits images to the brain for interpretation. Therefore, it is essential that damage be prevented in order to maintain good vision. 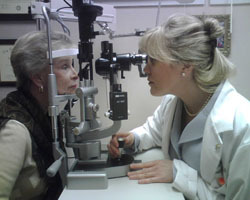 There are no symptoms of this type of glaucoma until late in the disease. 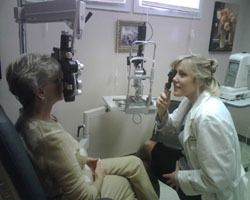 The only way to diagnose it is to have your eyes checked by an eye care professional. Once diagnosed, there are a multitude of medications (usually in the form of eye drops), laser treatments, and rarely surgery that can protect the optic nerve from this pressure induced damage.